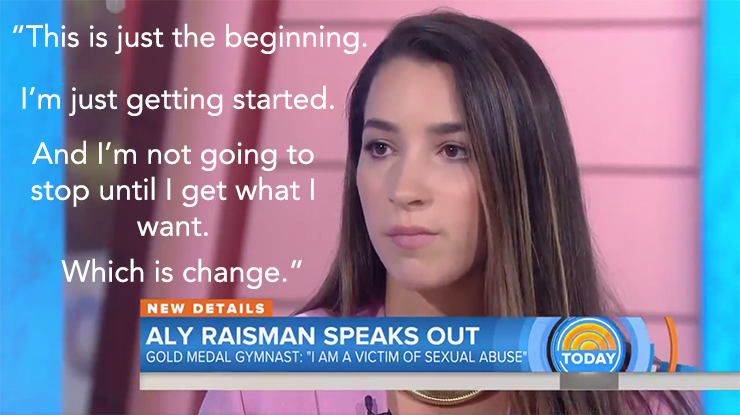 Aly Raisman appeared on 60 Minutes this week, relating her own story of abuse by Larry Nassar and making known her dissatisfaction with USA Gymnastics’ handling of abuse at the time, as well as now. Jessica O’Beirne presents the O’BEIRNE MANIFESTO FOR CHANGE. Six areas in which USA Gymnastics must improve immediately, otherwise nothing will ever get better and they will never gain back the trust of the members. Transparency: Daniels Report compliance list link on the USAG homepage. 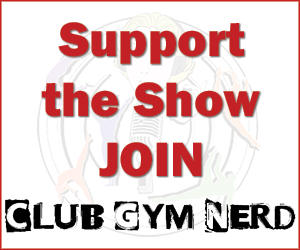 Gymnast Union: Athletes and parents need to start a union to eliminate the conflicts of interest inherently built into any National Governing Body system and to end the fear of retaliation. Consequences: Debbie Van Horn, Paul Parilla and the rest of the board need to go, immediately. Comprehensive Training: Every employee from president, Kerry Perry to the receptionist and all board members of USAG need in-person, day-long abuse prevention training on an annual basis. UPDATE: USAG staff has completed training with USAG SafeSport Director, Toby Stark. Kerry Perry doesn’t not start until December. We expect she will complete the training as well. Limit Alcohol: One drink when coaching duties are over with a meal, per day. Period. No Gray Areas: All national team staff, parents, athletes and coaches need to be educated and empowered to enforce SafeSport rules. And to call eachother out for violations. Buy one of our awesome goodies here.